measures to ensure the security of the maritime domain in the country. 37 of them that are navigable. serve as checks on the activities of these criminals. creeks in Delta and Bayelsa states. rivers that we have identified,” he said. 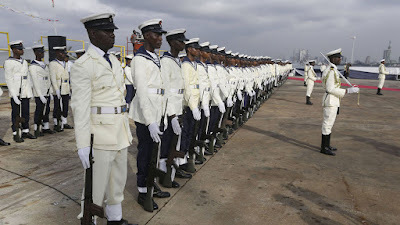 Commanding, ENC, Rear Admiral James Oluwole.